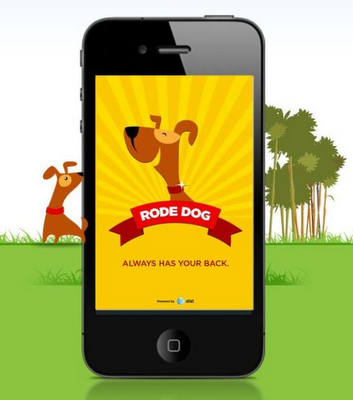 Rode Dog is a new anti-distracted-driving app that's the brainchild of a...child. Well, at 11 she might take issue with that characterization, but it's still an impressive accomplishment for someone who's still years away from driving herself. Victoria Walker won an AT&T hackathon--and $20,000-- to develop the app, which will allow users to hijack the phones of members of their "packs" (i.e. family and friends) when they text and drive, using the devices to "bark" incessently at the texters until they put down the phone and concentrate on driving. No word yet on whether it can be used to curb other annoying behaviors. Can we work on something that will let me use my phone to zap the people who cut me off in traffic because they're talking on their phone?